From 1.30-1pm on Sunday 7/12/15 at Artist Alley table BB-03, artist Dan Parsons and writer Michael Kogge will sign Empire of the Wolf! Come on by if you’re in town! From 1-3pm on Saturday 7/11/15 at Artist Alley table BB-03, artist Dan Parsons and writer Michael Kogge will sign Empire of the Wolf ! Frank Mula of the comic news site Comic Crusaders interviewed writer Michael Kogge recently about Empire of the Wolf. Check out the interview here! Stop by Meltdown Comics & Collectibles this Saturday (Nov. 1) from 4-7pm and pick up the graphic novel of EMPIRE OF THE WOLF, signed by writer Michael Kogge and artist Dan Parsons! 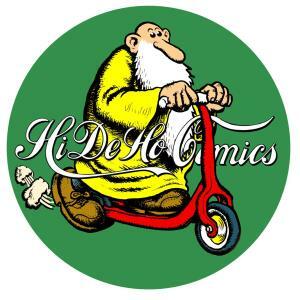 The evening of Wednesday, October 29, writer Michael Kogge will be signing copies of Empire of the Wolf at Hi De Ho Comics from 5-7pm at 1431 Lincoln Blvd, Santa Monica, CA 90401. Come stop by, grab your Wednesday pull-list, and pick up a printed copy of Empire! 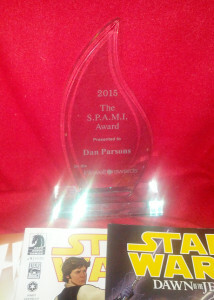 At long last! Empire of the Wolf, the comic series produced by Sword & Planet, has been collected in graphic novel format and published by Alterna Comics. The print edition retails for $14.95 and is available at your local comic book store, or online at Barnes & Noble and amazon. The digital edition retails for $7.99 and is available in cinematic Guided View on comiXology. 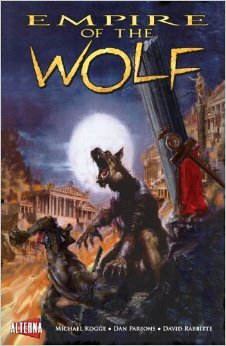 Most of all, spread the word to friends about this tale of werewolves in ancient Rome! The official website is empireofthewolf.net, but also go “like” it on facebook.